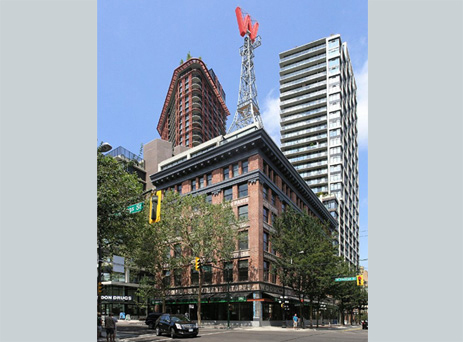 This large, multi-use complex on the site of the former Woodward’s Department Store in Vancouver’s Downtown East Side provides market condos, social housing, offices, retail, and Simon Fraser University’s School for Contemporary Arts. The exterior of the original store was restored, the iconic ‘W’ sign replicated, and stories of the old store told throughout. 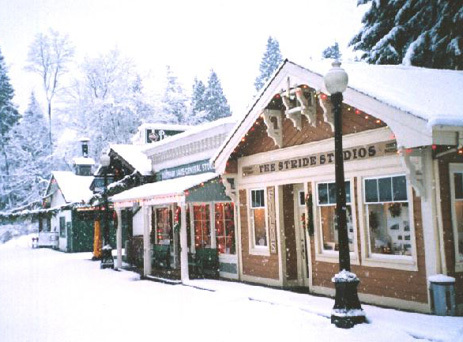 The City of Burnaby, British Columbia, operates this popular outdoor museum, which includes historic and replicated buildings, a fabulous old carousel, and a rich collection of artifacts. The programming attracts residents, visitors, and many school children. 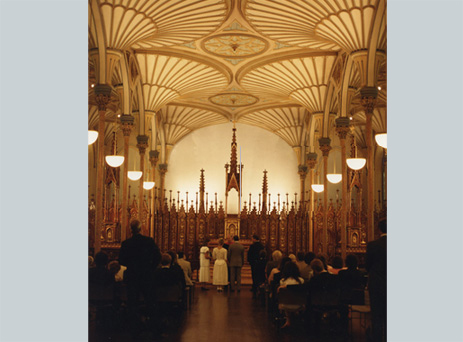 A stunning Gothic Revival chapel was salvaged from Ottawa’s Rideau Street Convent and reassembled as an exhibition gallery in the National Gallery of Canada. The wood fan-vaulted ceiling, cast-iron columns, and other features create a memorable backdrop for artifacts and events. 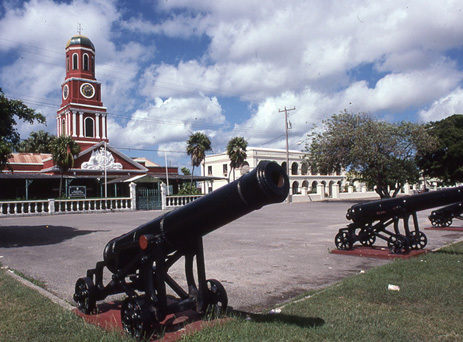 The Caribbean island of Barbados has a rich cultural and natural heritage. Opportunities for visitors to appreciate these places have been limited, with the traditional focus being on beach activities. A tourism plan has developed a web of Discovery Routes that make finding the sites easy and interesting. 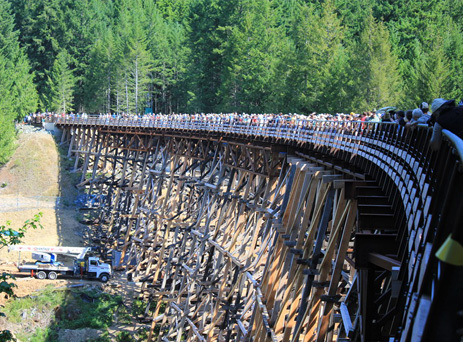 This mammoth timber railway trestle in Vancouver Island’s Cowichan Valley was abandoned by the Canadian National Railways in 1979 and subsequently suffered from serious deterioration. It has been retained and rehabilitated as a pedestrian, bicycle, and equestrian bridge that forms part of the Trans-Canada Trail. 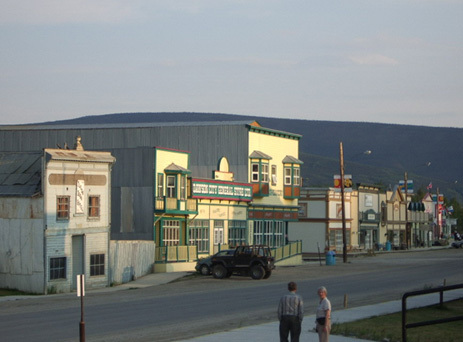 Dawson City was the centre of the Klondike Gold Rush. Much of the old community remains intact and is widely appreciated as a special historic place. The challenge is to conserve and enhance its heritage architecture and landscapes while encouraging economic development, largely – but not entirely – as a tourism destination. 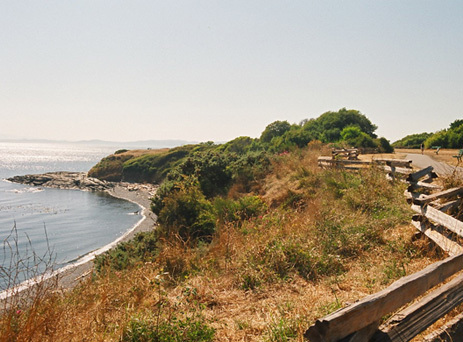 Named after the beacons that used to alert ships to hazardous rocks, Beacon Hill Park was used by First Nations for agriculture and dwellings, by the Colonial government for recreation and defences, and by present-day residents of Victoria, British Columbia, as a much-loved urban park. Shanghai’s English community retained renowned architect Sir George Gilbert Scott to design this imposing brick structure. 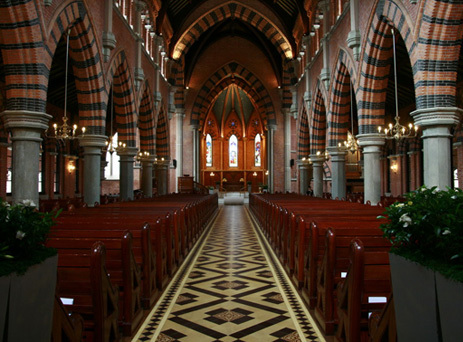 It served for three-quarters of a century as their church and cathedral. Altered for secular purposes under the Communist régime and then fallen into disrepair, the church has been beautifully restored for Protestant worship. Hal Kalman is a heritage specialist and architectural historian based in Victoria, British Columbia (Canada). He divides his work time between writing and teaching. He is the author of books and articles for both professional and popular readers. His most recent book is Heritage Planning: Principles and Practice (2014), a comprehensive overview of the discipline that has been a focus of his career. Hal co-authored Exploring Vancouver (2012), an architectural guide that tells the stories of the city through its buildings. Hal teaches graduate-level courses in heritage conservation (historic preservation) at the University of Hong Kong and the University of Victoria. He recently withdrew from active consulting after 35 years in practice. He remains a principal of Commonwealth Historic Resource Management Ltd. The pictures illustrate some conservation projects with which Hal has been involved.